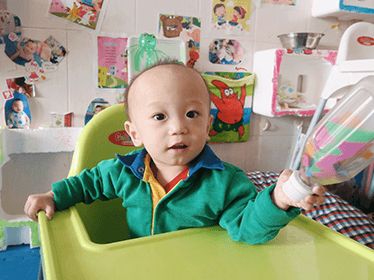 When Little Qiu was deserted because of thalassemia and sent to the welfare institution months after he was born, the masses of bruises and dotted signs of IV injection on his head, and the paleness on his little face struck us with a stabbing pain. Qiu was put under care of Chunhui mama Xia Mei. Xiaohui’s parents divorced two years ago. His mother left the family. His father went to work in a city to the south. Usually, the boy is left alone as his grandparents are just too busy to care for him. In southern China, a baby girl came into the world. Instead of being curled in the fetal position, the baby’s legs were horribly out of place, one on each side of her body, and her feet and hands were twisted as well. The girl’s parents quickly vanished. 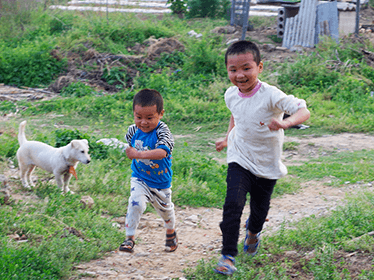 She was brought to the local orphanage where she was given the name Anjing (“quiet”).